Note: This article orginally ran on 11/29/2007 in the Bristol Herald Courier. Some say it’s about preserving the past, others about securing the future. Some say it’s about helping kids learn to work together. Others see it as a way to just kids but whole families together. Just mentioning the Virginia Junior Appalachian Musician (JAM) program at the Blue Ridge Music Center brings an opinion, usually accompanied by a smile. When the thirty-one kids ranging in age from six to thirteen took their place on the stage at the Blue Ridge Music Center to give their very first JAM performance, the results were a resounding success. Holding guitars, banjos, and fiddles, the kids played a couple of tunes, then put aside their instruments to demonstrate some of the flat-foot steps they’d learned. “Considering that many of these kids picked up an instrument for the first time just eight weeks ago, it’s pretty impressive,” said Tony Hatcher director of the Virginia JAM program. Hatcher grew up in Bristol and has been a longtime fan of traditional music and dance. The “appreciation” concert—for immediate families only– took place on Sunday, Oct. 28 and marked the halfway point of the inaugural sixteen week session of the Virginia JAM, a program designed to teach traditional mountain music to kids. On Jan 19th, the Virginia JAM will give a fundraiser concert at the Rex Theater in Galax that will be open to the general public. From the beginning, the Virginia JAM has been a group effort. 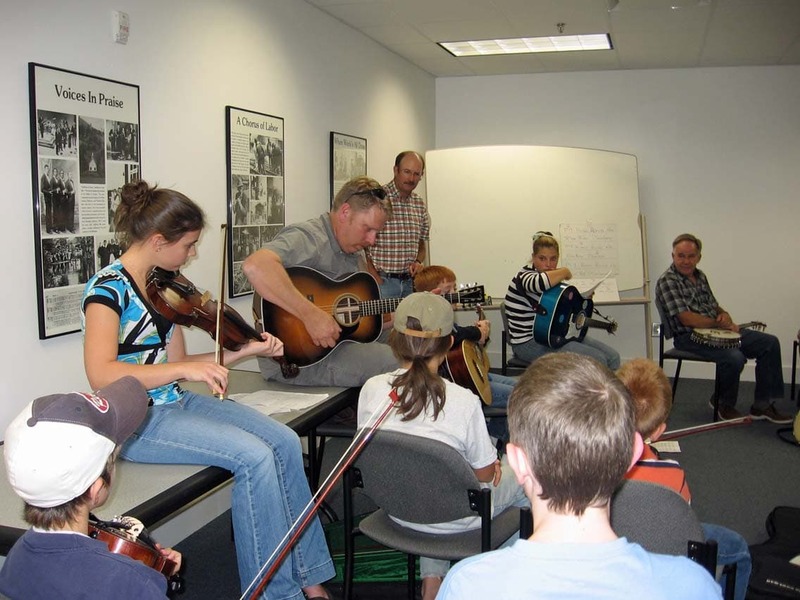 “We always had it in our minds that we wanted a youth education program,” said Debbie Robinson, director of the Blue Ridge Music Center, itself a joint project between the National Park Service, which provides and maintains the grounds, and the National Council for the Traditional Arts, which funds and runs the programming. Robinson had studied the highly successful JAM program founded by Helen White in Sparta, NC, and wanted to bring something similar to the Galax area. 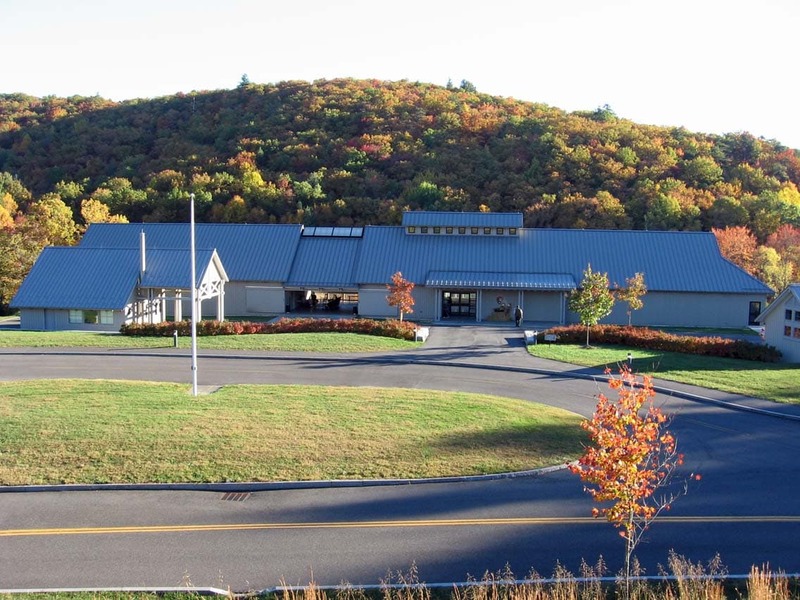 “Part of the reason for the Blue Ridge Music Center is to be educational as well as entertaining,” Robinson said. She procured grants from the Virginia Commission for the Arts and the D’Addario Foundation as well as from private donors to get the Virginia JAM program started. Partnerships with the National Park Service and the City of Galax assured that the Virginia JAM would have both a summer and winter home. Another partnership critical to the Virginia JAM’s success was with the Blue Ridge Music Makers Guild an organization of thirty-five Galax and Carroll County musicians and instrument builders. 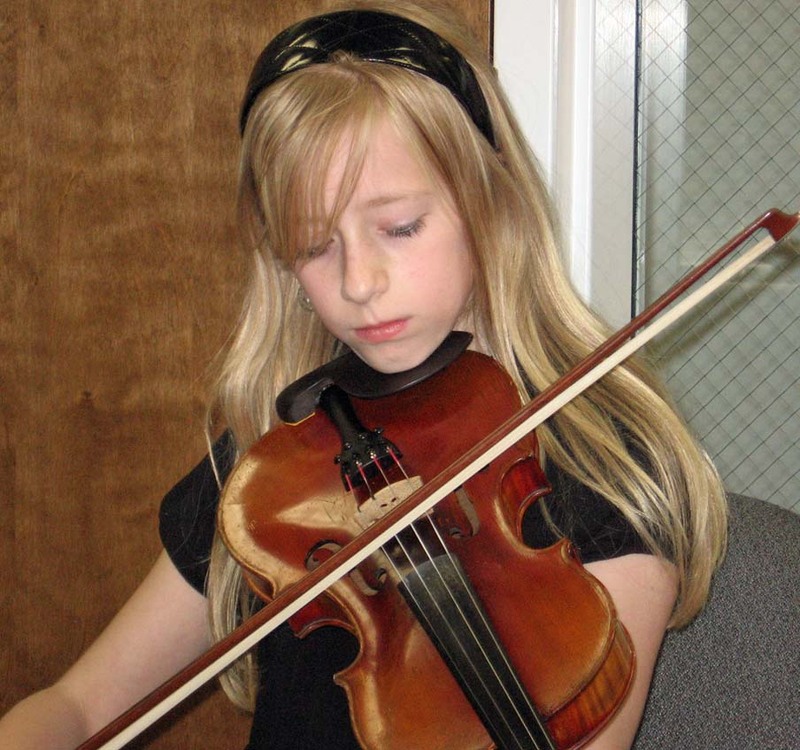 “We provide instruments for children who can’t afford them or who are interested in learning to play,” said Bobby Patterson, chairman of the guild, which established the Mom and Pop Stoneman Memorial Instrument Lending Library as a resource for children in the Blue Ridge Plateau area who want to play traditional music. Members take donated instruments, restore and repair them into good working condition, and then loan them out to children who either can’t afford an instrument or who want a trial period before having to buy one. Hatcher said that about a third of the Virginia JAM students use instruments from the guild. With the funding and partnerships in place, Robinson and Hatcher hired teachers, local musicians with decades of professional experience under their belts, and recruited a host of volunteers. Now it was time to get the students. Another JAM partner, the local radio station WBRF, aired free information about the program, which was also publicized through local newspapers and at local bluegrass and old-time gatherings. Hatcher added that the dance instruction not only teaches the students an integral part of the history and tradition of mountain music, it also helps them learn to listen to the rhythm and pick out the beat. Students pay ten dollars for each two hour session, but that is pro-rated down if a family can’t afford the tuition or if a family has more than one student. The cost for the students is much lower than what it would be for private lessons. “Students can learn to play through this program that might not otherwise be able to play,” said Stanley Widener, the guitar teacher with the Virginia JAM. Both Widener and fiddle teacher Scott Freeman first encountered the JAM program through the one run in Sparta by Helen White, founded in 1999. White, a musician herself who sometimes performs with Wayne Henderson, was a guidance counselor working for the Sparta Elementary School. “The class came alive,” she said. “There was buzz about it for days, requests to do it again. I knew then I had to get instruments into their hands.” With a grant from the National Endowment for the Arts, White was able to start the first JAM classes in Sparta as an after-school progam in the spring of 2000. That sentiment is echoed by parents and kids alike. 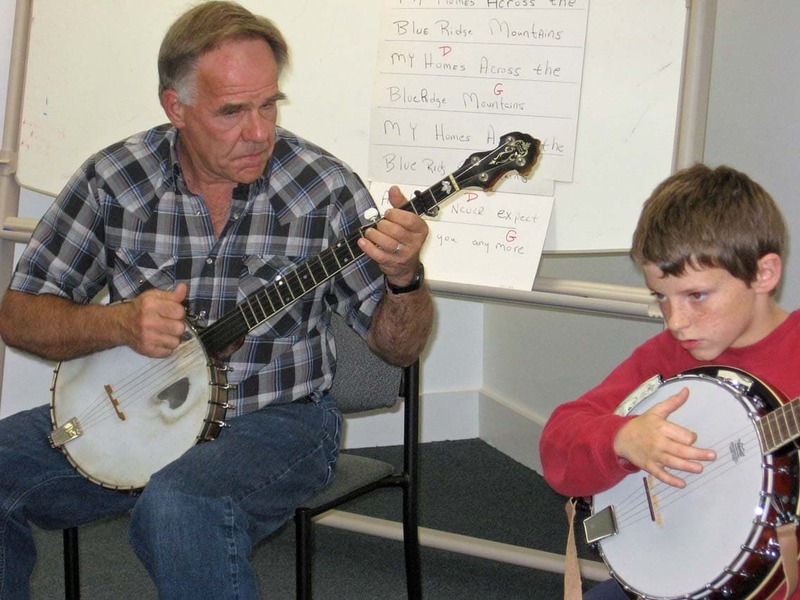 “It seems like kids teach kids,” said Vickie Boyd, whose son Jared is in the old-time banjo class. 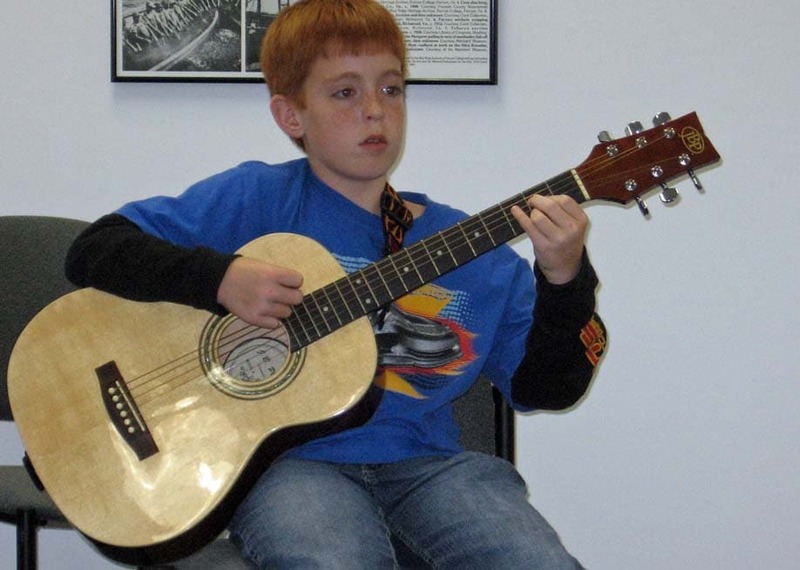 Virginia JAM student Jesse Allen, age eleven, said that though he’s studied guitar for about three years he likes the chance the program gives him to play with others. But his aspirations go beyond just having a good time. “I’m hoping to make a living off it when I grow up,” he said. With the Blue Ridge Music Center closing for the winter, the Virginia JAM will move to the Galax Recreation Center for the last eight weeks of this session. After the concert at the Rex Theater on Jan 19, the program will take a short break, and then begin another session in late February or March. Founders and participants hope to see the Virginia JAM become a established part of the community, and both Hatcher and Robinson are seeking grants and donations to continue the program permanently. “We want to have a way to pass history and tradition to the next generation,” Hatcher said.